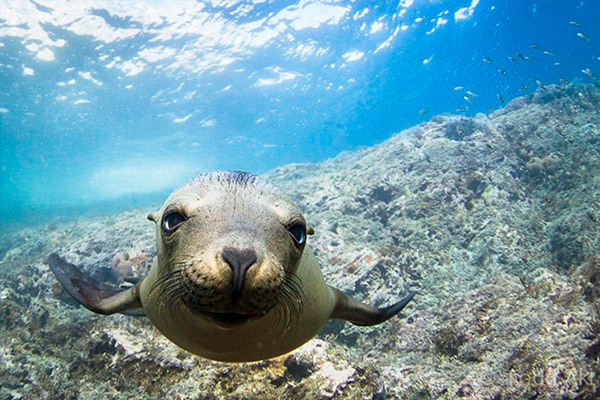 Welcome to our selection of liveaboard diving adventures! Diving is true living, especially from the dive deck of a liveaboard floating right above the best dive spots on earth. The Dressel Divers “Liveaboard Quality Selects” take you to the best marine reserves possible to partake in dive safaris that put you face to face with wild and wonderful reef habitats. Want to live inside a marine park, be part of it rather than visit it? 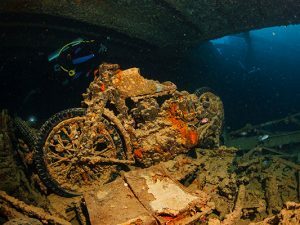 Then, liveaboard diving is the way to go. Back roll right out of bed or giant stride straight out of your cabin door into the ocean, is just about how close the reef feels. And, with Dressel Divers Quality selects, you are certain of your choice because we help you with our preselection of only the best of the best. Wildlife reserves offer you lions, tigers, giraffes, hippos etc. but only from a distance and inside a jeep. The lodge does not budge and you cannot go for a stroll and walk right up to a rhino. Liveaboard diving safaris are like a wildlife lodge that moves along and you go for endless strolls with fins to swim super close with giant mantas, sea lions, dolphins and all nature of sharks that look you straight in the eyes. WHY SHOULD YOU CHOOSE DRESSEL’S QUALITY SELECTS LIVEABOARD DIVING? We select ONLY 1 LIVEABOARD per destination, THE VERY BEST ONE, offering a service compatible with Dressel Divers and its Quality Selects Associate Recognition. The operator also agrees to quality controls by Dressel Diver’s owner or top managers. The Dressel Divers Quality Selects certification and recommendation is very strong in its guarantees yet based on very simple principles. At least once a year, Dressel Divers organizes one fully private trip on each liveaboard diving safari, exclusively for Dressel Divers clients. Depending on demand more trips will be opened up and exceptions can be made for guests interested in going outside these dates on more individual basis. 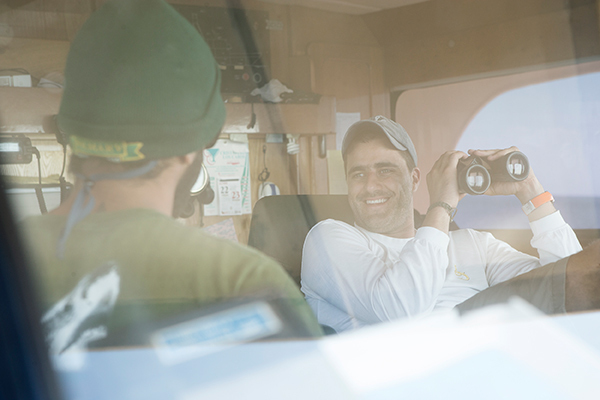 Everyone booking through us can count on onboard recognition as a Dressel Divers Quality Selects guest, as a part of our group or individually on another date, but always with the quality select guarantee. You will be represented by Dressel Divers from start to finish making sure you are never considered a one-time visitor or just a come and go diver never to be seen again. 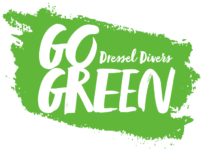 You will board the vessel as a member of a very important long-term relationship between Dressel Divers and its chosen liveaboard diving experiences, worthy of our common trust. 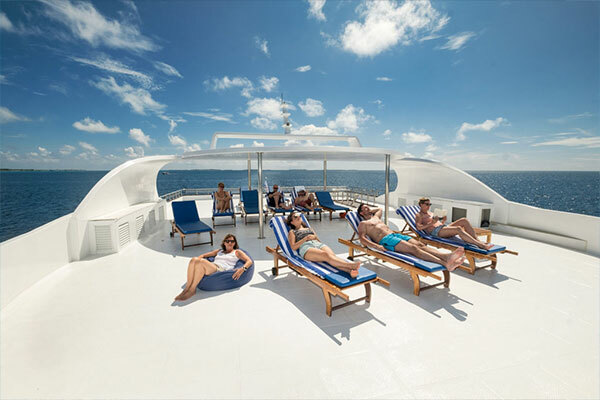 Your problems will be our problems in the event there are any, which is extremely unlikely, given our strong quality selection procedures and excellent long-term relationship with the select liveaboards of our choice. 20% Online discount not aplicable. 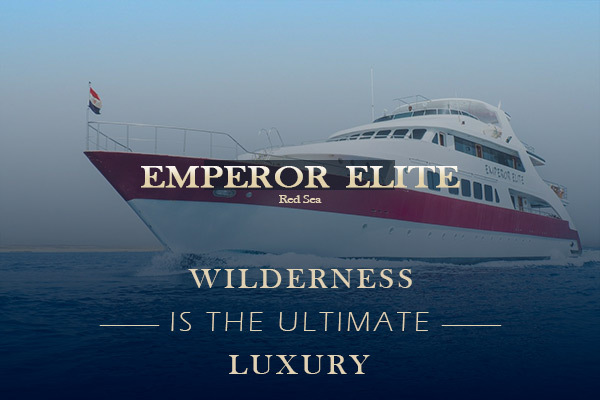 This Red Sea Liveaboard Scuba Diving safari takes you to the best reefs of the world’s most famous dive destination. 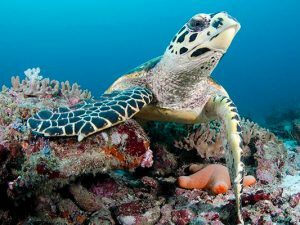 You will dive with more than 1250 fish species, and you will enjoy hundred species of hard and soft coral, 12 species of sharks, various species of dolphins and turtles, Rays, Morays and dugongs. Red Sea liveabord diving safaris are amazing all year round, thanks to its excellent climate, water temperatures and water visibility. 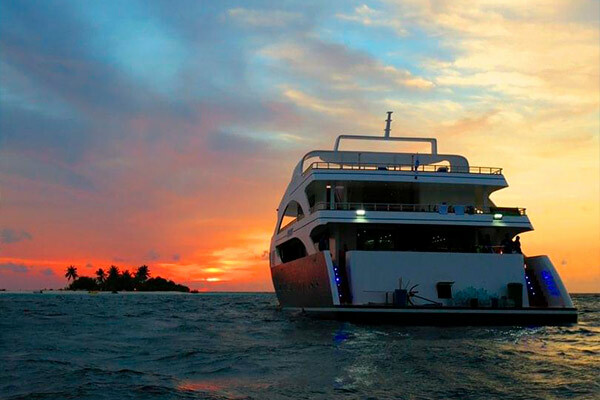 Our choice Maldives liveaboard diving safari is one of the best dive vacations on the planet. 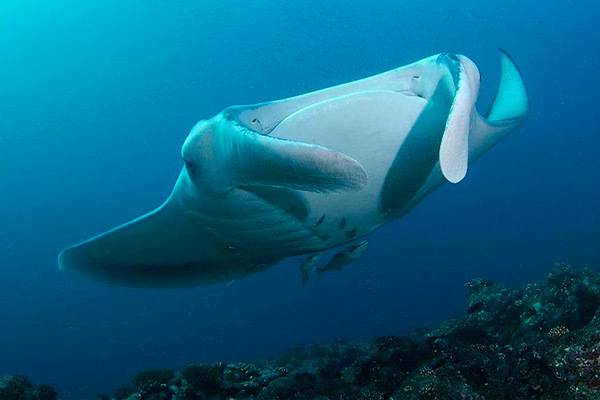 The Maldives by liveaboard offer channels, drifts and pinnacles where you will scuba dive amongst eagle rays, giant mantas, whale sharks and more marine life of such variety that you will be absolutely mesmerized. You will also find stunning reefs full of fantastic macro life, schools of hammerhead sharks and other face to face pelagic encounters. This Guadalupe Liveaboard Diving safari puts you face to face with white sharks, the majestic masters of the ocean! Enjoy Guadalupe cage diving with these amazing animals. 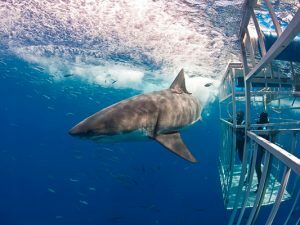 White shark cage diving will challenge your usual understanding of a school of fish as a friendly species get together. 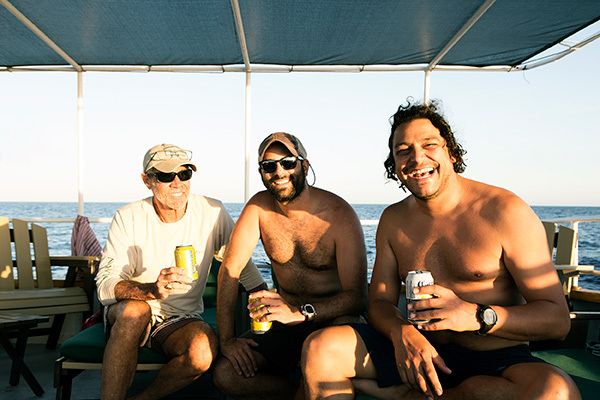 Vortex is the perfect ship to enjoy liveaboard diving in Guadalupe. Dive with white sharks staring you in the eyes and testing your nerve for hours on end. Socorro Liveaboard Diving is but one highlight of the worldwide scuba diving options! Diving Roca Partida and San Benedicto Island also bring scuba diving fans from all over the world . 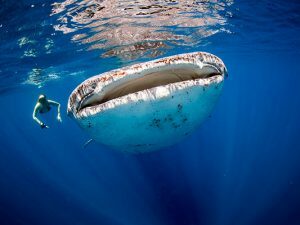 Amazing dive spots in the Pacific Ocean Revillagigedo Archipelago, located off the coast of Mexico. 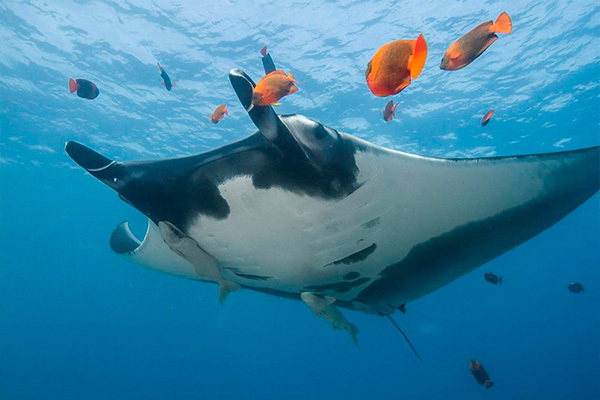 There you will find 7 species of sharks, including whale sharks and schooling hammerheads, giant mantas, playful dolphins, humpback whales, and tuna. WHAT CAN YOU EXPECT FROM LIVEABOARD DIVING – QUALITY SELECTS? Our blue planet is blessed with some very unique scuba diving hotspots and our select liveaboard diving cruises will put you right at the heart of these incredible underwater wildlife reserves. 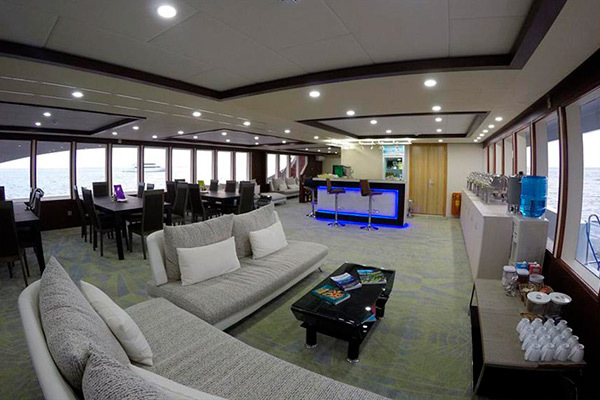 No premium dive safari is complete without the superior lodging and amenities of a top-notch liveaboard diving vessel. Even the most superb scuba diving in the world has surface intervals. They too will be superb moments. While sharks, dolphins, mantas and whales go on with their life as usual all around and below, you will enjoy nice food, great drinks and above all a fantastic night sleep in the comfort of very welcoming cabins. 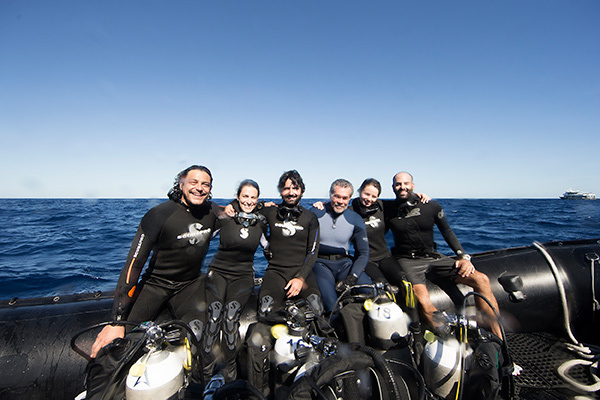 Scuba diving is a team sport and more so on a liveaboard diving vessel. Between dives the other guests and staff complete these incredible trips with wonderful moments and service and lifetime friendships. 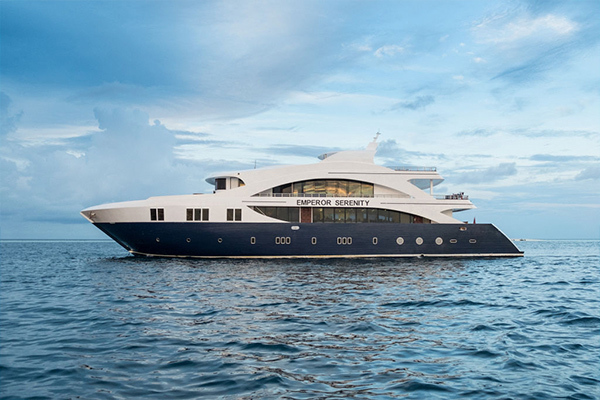 When you go out into the wild and wonderful blue yonder to live the liveaboard diving safari of a lifetime, you want to be there with the very best professionals, like our select liveaboard experts, totally at home in these waters.